In a university environmental policy course addressing the benefits, protections, and challenges for natural areas, lessons, and students’ research papers provided training about the many adverse impacts of climate change on human health as well as on ecosystems around the world. Field course to Costa Rica, supported by a gift, explores many aspects of life in Central America. Late Spring snow brought a dusting of white last weekend to the Great Sand Dunes National Park, Colorado, for the start of a four-day field course that was a part of a graduate GEOL593 class "Sedimentary Structures". The department's Eryops Skeleton replica is being repaired in preparation for its return to NHB. Christa Deacy-Quinn from the Spurlock museum is generously helping this effort, supplying essential expertise in plaster preservation and repair. The Natural History Building is hosting an open house during Homecoming to celebrate its recently completed renovation. 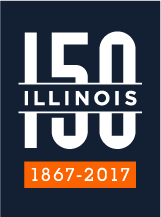 Students and faculty can take a self-guided tour of the building to learn how the University of Illinois created a modern learning space inside the historic landmark from 2-4:30 p.m. on Saturday, Oct. 28. IS THE FUTURE OF HURRICANE FORECASTING IN DANGER? ARE DROUGHTS BECOMING MORE EXTREME AND SEVERE? Today, prominent scientists throughout the country released a new research article on global patterns of drought recovery. 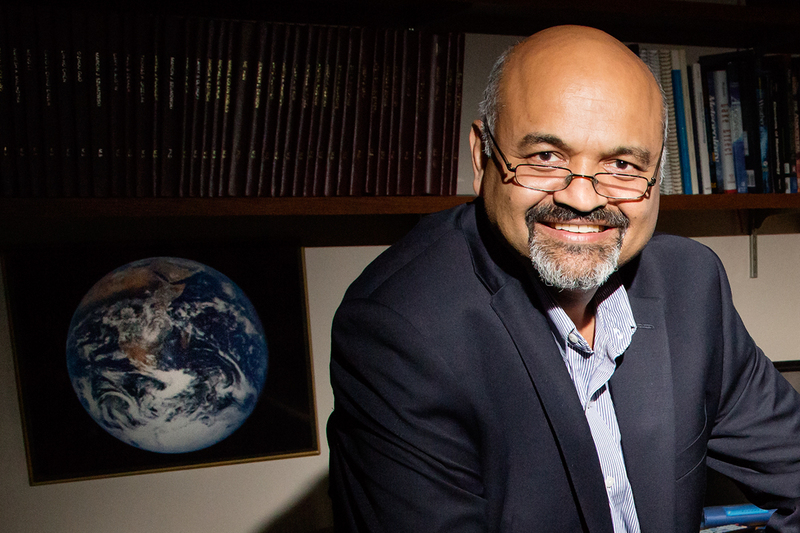 Illinois atmospheric scientist Atul Jain was among the experts who contributed to the report. Jain talked about the study’s findings with News Bureau physical sciences editor Lois Yoksoulian. Contrary to posters you may have seen hanging on the walls in science class, Lijun Liu, professor of geology at Illinois, knows that Earth’s interior is not like an onion. While most textbooks demonstrate the outer surface of the Earth as the crust, the next inner level as the mantle, and then the most inner layer as the core, Liu said the reality isn’t as clear-cut. “It’s not just in layers, because the Earth’s interior is not stationary,” Liu said. “The Art of Yellowstone Science,” the recently published book by Bruce Fouke, professor of geology, affiliate professor of microbiology, and active member of the Carl R. Woese Institute for Genomic Biology, is doing so well that thousands of students around the world will soon have access to free copies. Illinois to lead $3 million atmospheric study in Argentina. Scientists know a lot about weather. However, there is still an aspect that isn't totally understood: the initiation and development of thunderstorms. That's why atmospheric scientists at Illinois are soon heading to a small geographical area in western Argentina to study what are considered the most intense thunderstorms on the planet. It was summer 2015, and the upcoming fall semester of college was heavy on Emma Woods’ mind. She would be a senior, and she wanted to both excel in class and find a job after graduation. She had no idea that a regular visit to the doctor’s office one day would turn her life upside down.